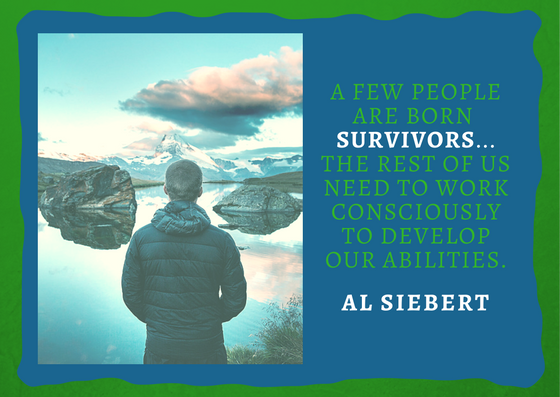 The resiliency researcher and professor, Dr. Al Siebert wrote the ground breaking book, The Survivor Personality: Why Some People are Stronger, Smarter, and More Skillful at Handling Life’s Difficulties…and How You Can Be, Too. It was an honor when Dr. Siebert agreed to help me with my book From Woe to WOW. Indeed, he became a mentor who eventually trained and guided me. He provided three questions for my research on women’s resilience: What was your biggest workplace challenge? How did you cope? What did you learn from the challenge? I treasure his endorsement of my book. 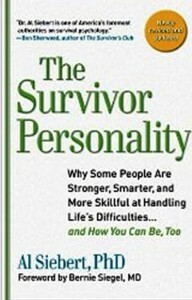 In The Survivor Personality, Dr. Siebert offers his findings from autobiographies and hundreds of interviews. He interviewed survivors of adversity such as war, cancer, abuse, job loss, and addictions. Siebert, himself, was a paratrooper who wondered about those who could give positive meaning to their adverse experiences. 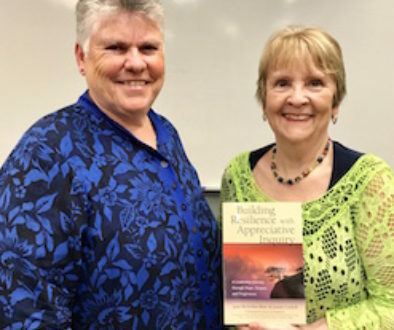 He concluded that survivors have faced a major crisis, made efforts to overcome it, emerged with newly recognized strengths and abilities, and eventually found value in the experience. Accepting and sometimes appreciating that life is not always fair. 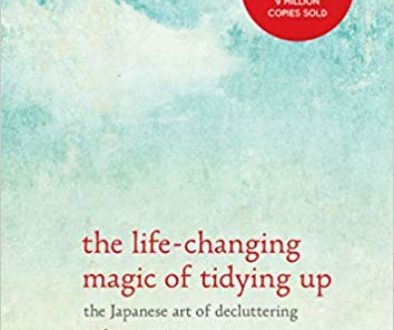 Giving up unhelpful beliefs and habits from childhood. Better managing people who have an angry or negative lens. Turning misfortune into Good Luck. To regain emotional balance from such major, disruptive life change as job loss and divorce, the important first steps are to express feelings and join together with others for mutual support. An emotionally toxic experience can be made emotionally empowering, and a difficulty that almost breaks your spirit can be turned into one of the best things that ever happened to you. If you gain nothing else from Dr. Siebert’s work, know you too are a survivor; just read The Survivor Personality to affirm that . . . or work on it! Dr. Al Siebert died June 25, 2009. He is dearly missed while his legacy continues at the Al Siebert Resiliency Center.